It’s difficult these days to open an architecture-related website or newsfeed without regularly stumbling across a Biennale of some sort, often new, happening at this very moment. They seem to proliferate much like low-cost travel did approximately a decade ago. If Venice is the classic carrier with all of the hallmarks of distinction – big names, exquisite pavilions, cocktail parties on palazzo rooftops where you’re told that Berlusconi’s right-hand man just walked by – the millennial breed of Biennales takes you to the secondary airports on the cultural map for something off the beaten track. They promise an escape from the complacent entre-soi of Freespace and seek to deal with ‘real’ pressing contemporary issues. At the very least, the rediscovery of unspoilt locations and in-your-face realities would presumably generate new connections and insights. Manifesta occupies a middle position in the genealogy of Biennales. It originated in 1996 in Rotterdam and is based in the Netherlands. Artnet ranks it as the fourth ‘most important’ event of its kind (after Venice, Kassel and Whitney), a pedigree which distinguishes it from today’s recent start-ups. Nonetheless, its modus operandi sets it decidedly apart from an old dinosaur like Venice. Manifesta is the ‘nomadic Biennale’, with a new location for every edition. Its stated mission is to ‘map the cultural topography of Europe’. 2018 saw its twelfth edition where Manifesta inhabited Palermo with as theme ‘Planetary Garden: Cultivating Coexistence’. How successful was M12 in casting a light on Palermo and mapping its ‘cultural topography’? 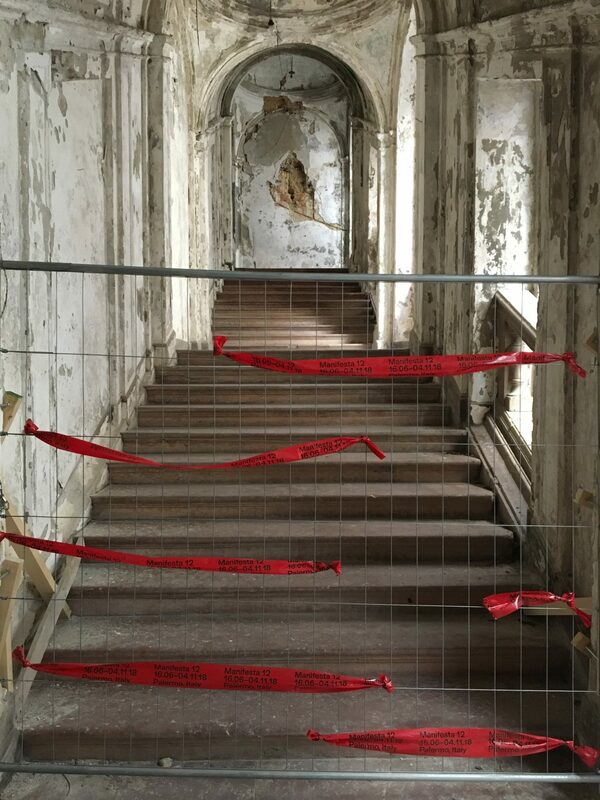 And to what extent was the Manifesta approach able to take a fresh look at things and to subsequently provide compelling insights through curation and hold up a mirror to the complex, unique condition of this city? Let’s first look a bit deeper at the methodology. 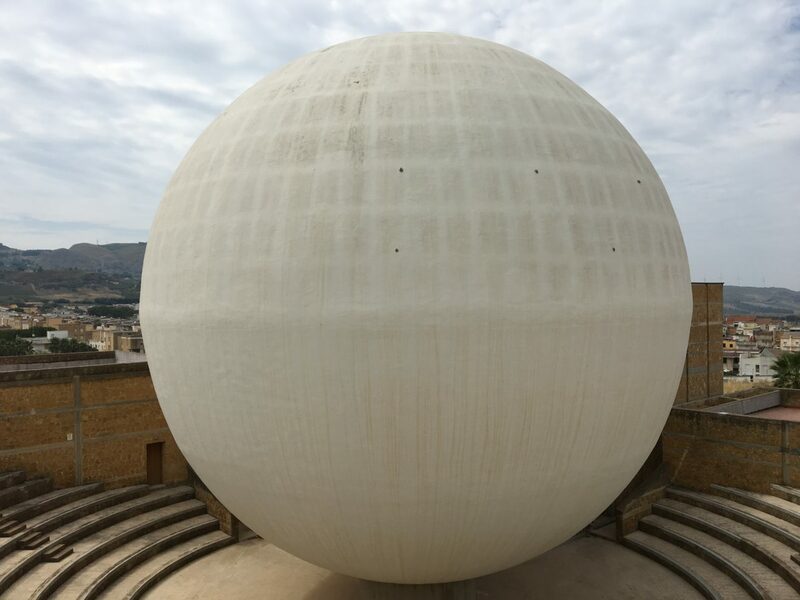 I spoke with Ippolito Pestellini Laparelli, partner at OMA, who led the preliminary research initiative for M12, which culminated in a publication, the Palermo Atlas. He also acted as one of the creative mediators of M12 alongside Andres Jaque, Bregtje van der Haak and Mirjam Varadinis, who together used the findings of the atlas as a framework for the theme and programme of the event. Pestellini talks of a ‘transformation’ of the curatorial approach, whereby curatorial content is extracted from observations made in the initial investigation – an on-the-ground exploration often guided by people from Palermo. Unlike the classic Biennale format, he continues, here ‘the project IS the city’. The findings of the initial exploration would then establish a theoretical and operational framework for the event itself. So far so good – this all seems rigorous enough to keep any Freespace from creeping in. Pestellini and team soon discovered that Palermo was ‘alive with flows’ on a planetary scale – whether tourism, migration, climate change, illegal trafficking, Internet cable infrastructure, American military bases sending signals to drones, to name only a few. The underlying ambition was to ‘reconcile the global with the local’, and the careful selection of venues for M12 resulted from a wish to illustrate – sometimes implicitly – the theme of the artworks on display. Unfortunately, much of the planetary complexity that was uncovered in the preliminary research has all but evaporated on an average midsummer day. If you wanted, you could compare the M12 experience to wandering around and watching off-beat television shows in interesting places – a bamboo grove, rickety scaffoldings in old Palazzos, tombs. The quantity of video-based art outweighed all others by far. A man having sexual relations with a plant, meditative drone footage of trees, talking heads pleading for a border-free world… It would be an absolute feast for the right-wing media looking for reasons to slash public spending. Much of the work displayed at M12 attempts to develop a narrative on migration, taking its cue from the atlas’s documentation of Palermo’s historical role at the centre of the Mediterranean, subject to anything from medieval Norman incursions to the recent refugee crises. It’s somewhat disappointing, then, that the talking heads featuring on TV displays do not seem to get beyond common tropes about borders being a bad thing, and avoid any tough questions on the topic. The generalized nature of the commentary, and the placeless-ness of the video format, contribute to the sensation that one could be watching it anywhere – on one’s smartphone on the bus, for instance. I voice my concerns about this flatness of medium and content to Pestellini, who assures me that in fact a variety of formats, from exhibitions, interventions, screenings, performances to discussion sessions, constituted the M12 offer. He cites a recent conference in September, ‘Accountable Networks’, with enfant terrible documentary maker Adam Curtis as guest. Nonetheless, on a visit to the Biennale on a typical day, I felt I was walking among the relics of a past event: paraphernalia lying on the floor or leaning against walls, videos of said event playing, as an open doorway stuffed full of pizza boxes emits radio music – turns out it is the restaurant next door. (The casualness of it all was somehow endearing.) Walking through the streets of Palermo from one sleepy exhibition to another, the heat enveloping you in its thick, maternal folds, bumping into the occasional sunburnt architectural tourist – black clothes, tote bag, alone –, I felt the Biennale to be strangely discarnate, and at the same time eminently Instagram-able. Outside the official Manifesta spotlight, a number of collateral events took place, more quietly but with perhaps more slow-cooked content. Incompiuto: The Birth of a Style – run by artist collective Alterazioni Video and Fosbury Architecture – focuses on the unfinished public works that dot the Sicilian (and Italian) national territory. Incompiuto ran a workshop at one such unfinished project, the nearby Blufi Dam. Joined by a group of international students, the workshop consisted of scripting and staging an event in and around the dam, and will potentially lead to future takeovers at the same location. Incompiuto blends criticism of the systematic corruption behind Italian public works with a sense of wonder at the almost sublime scale and potential of these often-monumental projects. This is because these unfinished relics pose a very unique problem, as Giacomo Ardesio of Fosbury explains: they cannot be completed, because the money evaporated, but for the same reason they cannot be demolished either. They thus occupy an ambiguous middle ground, fertile for intervention, that is a very interesting field for architects, and presumably other agents, to explore. 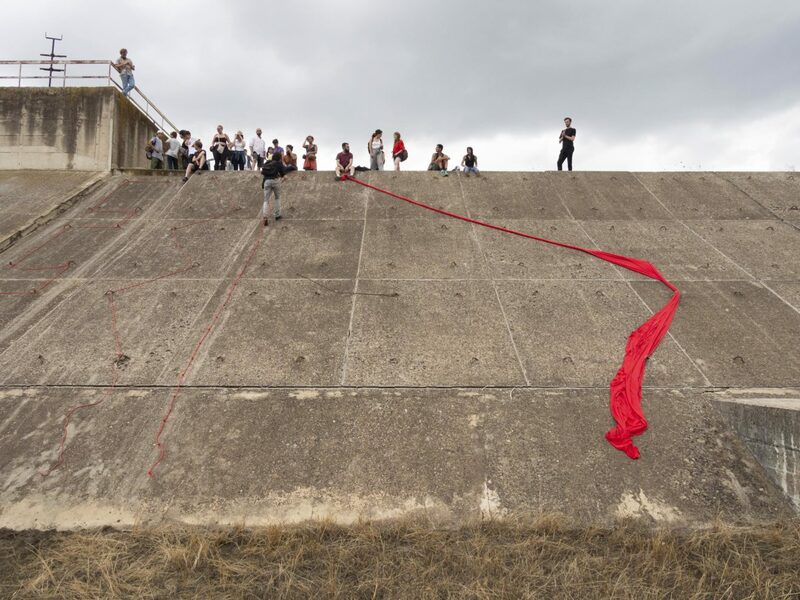 Another organization operating under the M12 collateral umbrella, Fondazione Manifesto, was located in the ghost town of Nuova Gibellina, where it ran tours of the utopian architecture and art that densely permeates the town. The original village of Gibellina was destroyed by a 1968 earthquake, and a new ideal town was constructed soon thereafter, a veritable display case of works by the likes of Purini Gregotti, and Ungers. Zeno Franchini of Marginal Studio, one of the partners in Fondazione Manifesto, recounts the success of the tours, reaching double capacity by the later months of M12, and forming a significant stopover for many visitors after the main event itself. Franchini notes that Manifesta, while not having a very perceptible effect on the average residents of Palermo, has indeed provided many opportunities to creatives in the city who previously had no visible outlet. 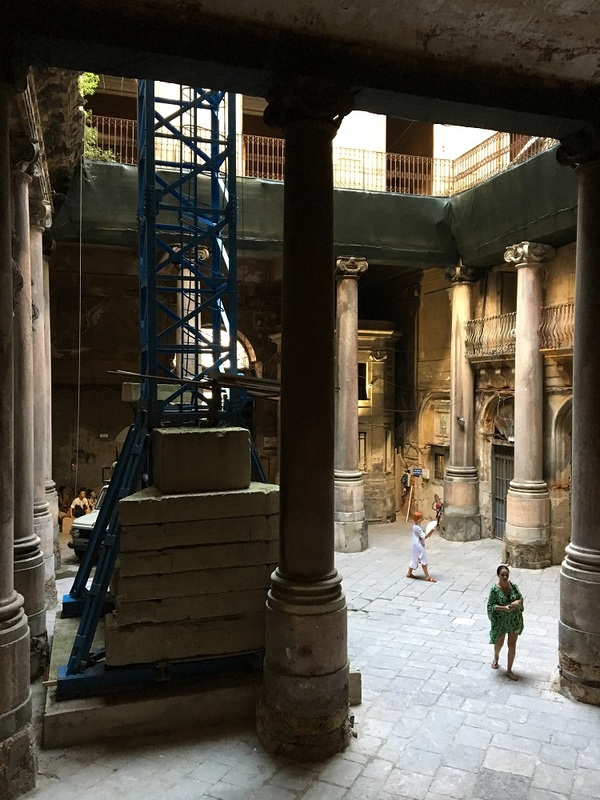 Marginal Studio’s own upcoming Nuove Officine Zisa project, in the Cantieri Culturali of Palermo, hopes to profit from the momentum generated by Manifesta. It aims to conjugate Sicilian craft with migrant cultures in a large hall combining workshop, restaurant and exhibition space. 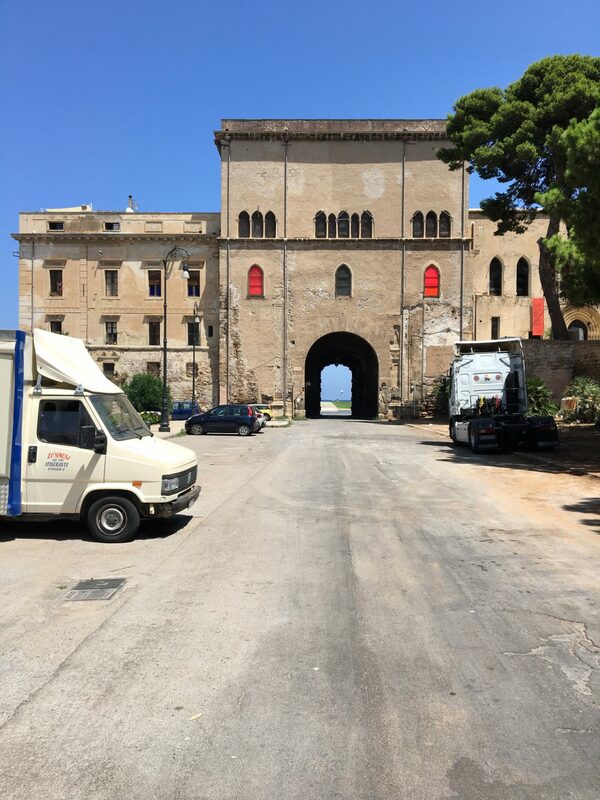 After the experience of the Biennale – and the complications of working through stagnant local, regional and national bureaucracies – Franchini muses, is Palermo ready? M12, while not fully managing to explore the compelling topics it sets out for itself via challenging installation pieces, has nonetheless created an assisted drive through a complex, layered territory, revealing a city to visitors, and perhaps also to itself. The real work of art is indeed Palermo itself, which is absolutely breathtaking. Wandering in the summer heat past garbage heaps, decrepit palazzos, humming gardens, parties at night in abandoned and unlit plazas, I encounter a city that is like a pulsating feast. It is also very hard to characterize – abandoned districts alternate with prim piazzas, Islamic Kalsa with Norman gothic, Tamil corner shop with tourist trap pizzeria, monolithic ghettos with leafy well-to-do suburbs. Credit is due to M12 for opening many doors. This being said, one cannot avoid the sensation of having experienced something of a pre-Biennale, and that an ambitious array of eclectic ingredients – preliminary research, ‘undiscovered’ city with little experience in cultural events of this scale, international curatorial team, multidisciplinary programme – had not cooked long enough, and the result on the ground was a little thin. Manifesta 2018 was a symbolic, mediatized opening of the gates to new territories, but not much more. In some ways, it is difficult to distinguish it from a niche form of tourism. Time will tell if it has made a positive impact on Palermo. Looking ahead to the next edition of Manifesta in Marseille, with preliminary research headed by MVRDV, I wonder if it will manage to gather its insights there into something more specific, more substantial, more potent? Hans Larsson is an architect of Swedish-Argentine background currently working at OMA in Rotterdam. He is co-founder of Post—Office, a platform for exploring alternative architectural methodologies. Fondazione Manifesto is a project by Marginal Studio (Zeno Franchini & Francesco Gattello), Christoph Buchel, and CRESM.